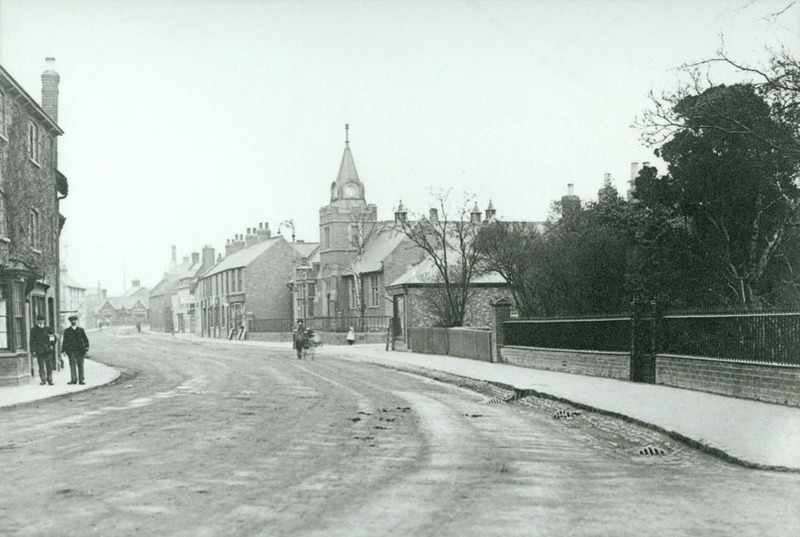 A view along Thorpe End with The Carnegie Library (now the town’s museum) in the centre. McDonalds now occupies the cottage gardens on the right. The houses on the left stand just before the entrance to Enoch Evans Pork Pie Factory; built in 1860, closed in 1953 and demolished in 1963. It’s now part of the Morrison’s Supermarket site. Approx date: 1910. Image ref: MM0213.